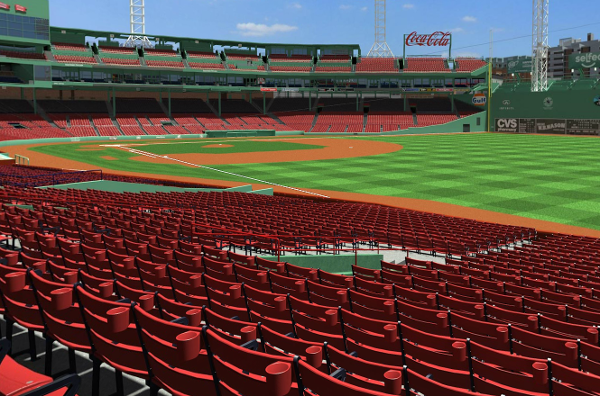 Seats look directly at Pesky's Pole to your right. On an aisle and close to exits - easy access to beer/food lines. Lots of leg room and cupholders.